Say Hello to the all New world of Logistics...Simplified! Get Bids for Shipping just about Anything from Trusted Verified Drivers, Now!!! The Fastest & Easiest way to send Anything, Anywhere, Anytime. Find your next Load, next Stop & your next Trip at your fingertips. 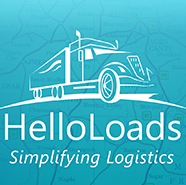 HelloLoads is India's Biggest Online Commercial Freight Marketplace which facilitates Transactions between Shippers and Transporters Pan India with State-of-the-Art Features never experienced before. With Multiple Party Apps across IoS & Android platform, we have just revolutionised the way logistics works. 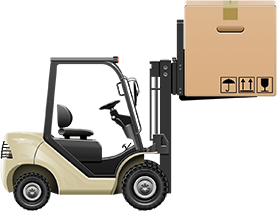 Transport your Materials Faster, Simpler and more Reliably than Ever! So, What is so new? Let us know What, When & Where you need to Ship your item for inviting Best Bids possible from our Verified & Rated Transporters across India. You may save over 50% than using a Traditional method of Truck Booking! Once the requirement is Live, We'll intimate all the relevant Transporters to Quote and complete for you to get the Best possible Price. We'll also give you an option to invite select Transporters. That's right, We are doing all the hard work for you & you only have to select from the multiple Quotes received. All of this happens like a breeze. Now, You and Transporter co-ordinate to make and complete the move. "Get habituated to the all new & modern world of Logistics... Simplified"
Save upto 50% on empty return trucks. Pan India presence ensures most relevant Transporters Bid. Business Finance, Track your Shipment, Insurance, Multiple Payment options & Rewards to boost up your satisfaction. Our Business model ensures less empty miles. #GoGreen. We are committed to environment & our CSR program shapes the value system supporting our Company's Mission and Vision. Capture the world. Get work on the move, Anywhere, Anytime. Get full work load for your trucks. No more empty or part loads. Good karma! Business Finance, Track & Trace, Insurance on Goods, Vehicle & Driver, Online Payments & Much More. Introducing India's first & dedicated multiparty Apps to Book & manage your shipments. Logistics at your fingertips! Introducing India's most loved App with over 1,00,000 Users already! All you require is a Mobile phone with internet connection. 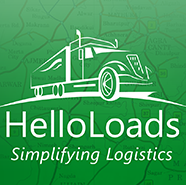 HelloLoads is an Online Transportation Services in India, which Facilitates transactions between Shippers and Transporters Pan India. Through this platform, Transportation and Logistics services providers get access to new Markets, whilst Shippers can make Transport Booking (includes Truck Booking, Tempo Booking, Lorry Booking and Online Cargo Booking, Online Transport Booking, Logistics Services) at an economical Truck freight. With Shipping services, We also provide other services like Online Cargo Tracing and Tracking, Rating and Reviews, Insurance, Fleet Management, Business Finance and many more. By the means of Reviews and Ratings, We aim to find the Best Online Transporters in India for our Shippers, whilst, the Transporters too can review the Shippers, so that the former can prioritize who to work with and share their experiences. Our Truck Booking website uses a Reverse Bidding pricing technique to ascertain competitive freight & Best Price in India. It makes the process of Goods Transportation Efficient and Effortless as the formalities are reduced to half. Through us, Transporters can get their Online Truck Booking, and Shippers can get easy and convenient of Goods Transportations. Quick Online transportation in India is now possible with HelloLoads, whether it is Intercity or Intra-city Transportation Services. Hurry Up! 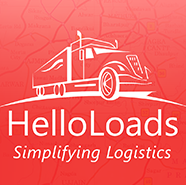 Book a Truck, Tempo, and Lorry with HelloLoads now!